The best Krav Maga practitioners learn from the best Krav Maga instructors. The only way to become an exceptional practitioner of Krav Maga is to train under exceptional instructors of the art. Rhon Mizrachi is the only expert of Krav Maga who resides in the U.S. He is a Guardian of the authentic art of Krav Maga, having trained under Krav Maga founder Imi Lichtenfeld and Grandmaster Haim Zut. Rhon has trained in and/or taught Krav Maga for over 40 years and continues to teach the art maintaining the highest standards of quality. 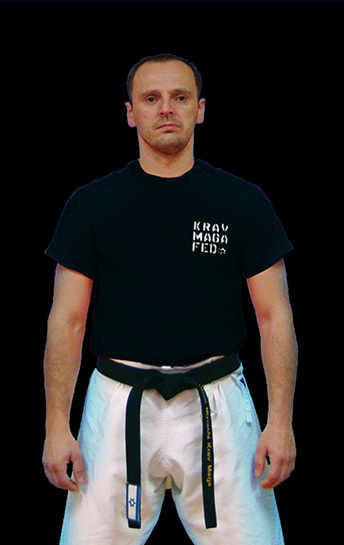 He is a practitioner, teacher and leader – he is the Grandmaster of the Krav Maga Federation. 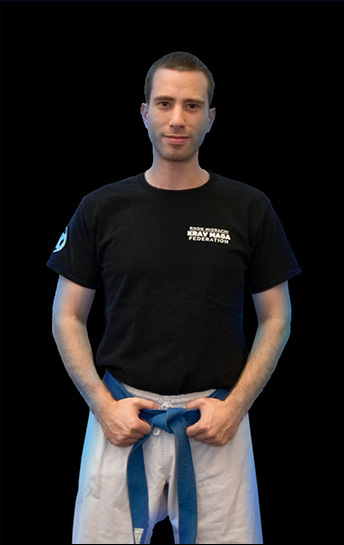 Beginning his training in 2009, Adam tested to his rank of Black Belt with Graham Friedman on July 4th, 2015 earning his belt and becoming a Full Instructor of the Krav Maga Federation. of the most important lessons I’ve learned is that each time I step onto the mat, my focus is to do the technique better than the last time. For me, that means slowing down, taking my time and analyzing the small details. It’s these details that make all the difference in learning the art, what we learn under Rhon. And I can undoubtedly say it’s what makes us the best. students to push themselves to their fullest potential. That will always vary from person to person, but what I require from each individual is to show up and try their best. In my opinion, this is one of the ultimate means of exercise. Not only are you improving your physical well being, but you’re also strengthening your mind and learning an invaluable life skill. Everyone should have some knowledge of self defense, and I believe Krav Maga is the pinnacle in this field. All Federation instructors have unique abilities and focus – there is no mold in which Rhon forces his teachers to fit. Kel’s decision to begin teaching was not based on his ability as a martial artist; his goal was to attain a level of confidence within himself, which quickly turned into his having the unique ability to assist students in the same way. Kel has a specific ability in his teaching style; he is able to help students who initially may not feel at ease training in a group setting feel comfortable and confident in their ability. He encourages beginner students to go at their own pace, reminding those who are nervous that they are never “slowing down a class” –learning the techniques properly means repetition and having patience within oneself. His level of understanding that there is a process of learning in and of itself, regardless of the subject studied, assists students tremendously. he tested for his brown belt in front of Grandmaster Haim Zut, Uri Rephaeli, Rhon Mizrachi, and the 50 Federation students who participated in the trip. Kel tested for his Black Belt in 2015 achieving his Full Instructor status of Rhon’s Krav Maga Federation. Kel has dedicated enormous amounts of time and energy assisting in the growth of Rhon’s Federation, beyond teaching classes. He is an integral member and full instructor of the Federation. Alon Adelson has been a student of Rhon Mizrachi’s since 2007, training and now teaching at the KMF flagship school in NYC. Like his teacher, Alon teaches with a very specific focus- every strike must cause damage. He knows that in a street fight injuries can happen regardless of how well one is trained. His focus in teaching Krav Maga follows Rhon’s concepts; accept the possibility that you might get injured and train to survive the attack no matter what. Alon is an IDF veteran, whose military service took place between 2000 and 2004 during Operation Shield. He served as a designated marksman in the demolition company specializing in urban warfare. He is the most vociferous in saying that Krav Maga and Military Krav Maga are 2 completely separate things. Unfortunately, Alon’s second broken ankle ( motorcycle and skydiving injuries ) has resulted in 3 surgeries that have interfered with his ability to train consistently. His goal is to continue to heal and train, test to the rank of Black Belt, and become a Full Instructor ultimately opening a Krav Maga Federation school in Hawaii. Once established, he will teach regular classes as well as host seminars taught by Rhon in Krav Maga (and surfing). Peter Tuznik began training with Rhon Mizrachi in 2001. The intense fighting style of Krav Maga and Rhon’s style of teaching appealed to him; his superior physical talents allowed him to excel at Krav Maga. His attention to detail and aggressive fighting style merged seamlessly with Rhon’s. This connection encouraged him to train with a dedication that resulted in his participating in the Instructor Training Program with the goal of becoming a Full Instructor under Rhon. Peter’s commitment to his training and to his teacher led him to participate in the 2008 KMF trip to Israel. His knowledge of Krav Maga and the high level of proficiency and skill that he possesses in the art allowed him to demonstrate his dynamic ability and impressive skills during his Black Belt test, at which time he became a Full Instructor of the Krav Maga Federation. His test was overseen by Haim Zut, Uri Refaeli, and his teacher Rhon Mizrachi. 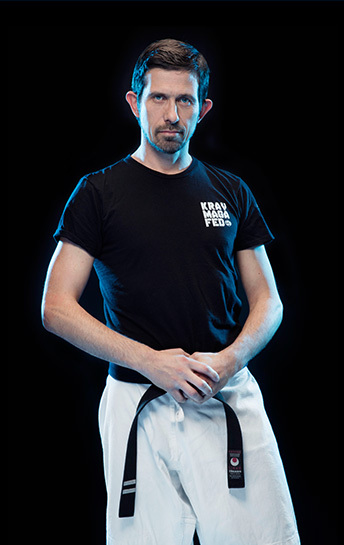 Because of Pete’s skills as a practitioner and teacher, as well as his depth of understanding of Krav Maga techniques, he is one of the few instructors chosen by Rhon to oversee tests of Krav Maga Federation students. Pete competes in MMA and Jiu Jitsu (both Gi and non – Gi) and is presently pursuing a path to become a professional MMA fighter. 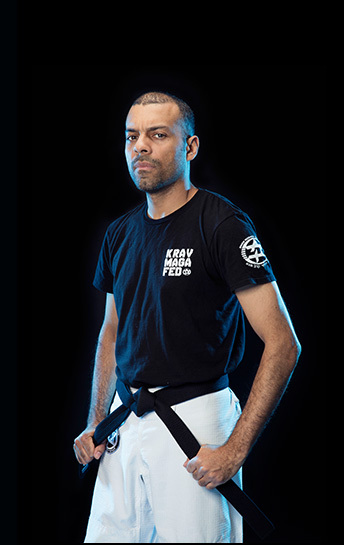 Krav Maga Instructor Juan Berrios is a student of Rhon Mizrachi’s and a Full Instructor of the Krav Maga Federation. travelling to Rhon’s New York City school as well as training privately with Rhon and training partner Vladimir Zolotev (owner of the Westchester Krav Maga Federation school). Like his teacher, Juan is a life long martial artist. 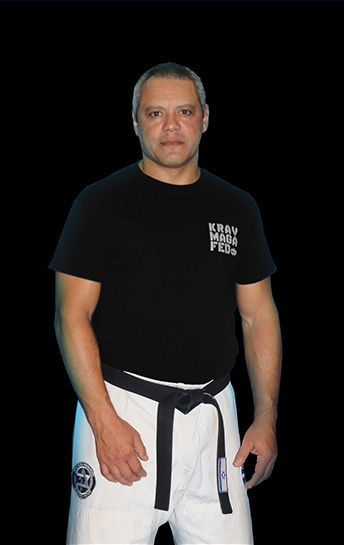 After decades of training in other combat arts including Shotokan Karate, Katsugo Kickboxing Karate, Ju Jitsu and Sambo, Juan began training in Krav Maga. The discipline and perseverance in his own training are the same qualities that make him not only a talented student but also a talented and devoted instructor. Rhon travels regularly to Juan’s Englewood, NJ school to test his students and to teach seminars. Juan is dedicated to honoring his teacher’s goal of guarding the true art of Krav Maga. Through Juan’s teaching, Englewood Krav Maga provides the highest level of authentic Krav Maga training, adhering to Rhon’s requirements. To learn more about Juan and Englewood Krav Maga please visit his website, Englewood Krav Maga. Vladimir Zolottev is a student of Rhon Mizrachi’s, a Krav Maga Federation Full Instructor and owner of Westchester Krav Maga. He began his training under Rhon in June 2008. Vladimir has dedicated himself to martial arts for more than 20 years. Due to his innate talent in martial arts, Vladimir was invited to participate in a Krav Maga Instructor Program. He continues to develophis knowledge of Krav Maga through o further his knowledge of the art. Born in Romania, Vladimir began training in Shotokan Karate at the age of 13 . Within 3 years, he became a member of the National Karate Team of Romania. He competed with the National Romanian Karate Team at competitions throughout Europe and the United States, holding first place awards in Shotokan Karate at National, European and World levels. Maga Federation. He is a gifted athlete and an exceptional instructor; he believes in and upholds the standards set by Rhon and is instrumental in ensuring that they are upheld by all students of the Federation. His Westchester Krav Maga school represents Grandmaster Rhon Mizrachi’s Krav Maga Federation. To learn more about Vladimir and his school visit Westchester Krav Maga. 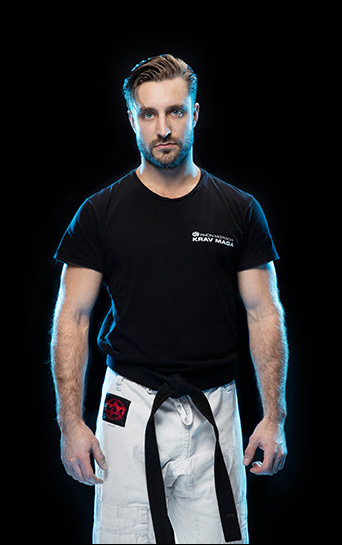 Instructor Brian Coblitz began studying Krav Maga under Grandmaster Rhon Mizrachi in 2007. 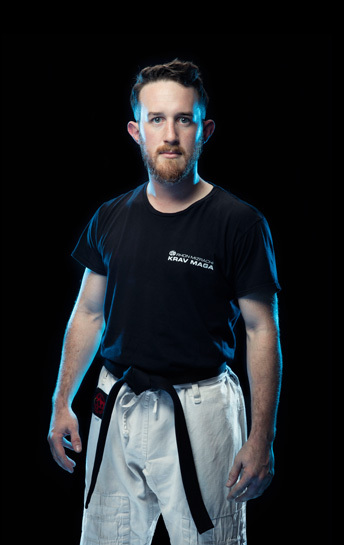 Brian completed the rigorous KMF instructor’s course in 2009 and spent years assisting instructors at the Krav Maga Federation’s flagship school in NYC. Presently Brian runs a school in Washington D.C..
Karate-do Association. Brian now dedicates his martial arts practice to Krav Maga because of the unparalleled effectiveness and efficiency of the art. He brings Rhon to DC on a regular basis to test his students; he brings his students to NYC to be tested with other Krav Maga Federation students. These practices speak to Brian’s commitment to ensure that the Krav Maga taught throughout the Federation schools remains consistent. He is excited to be expanding the Krav Maga Federation family to the DC Metro area. For more information about Brian’s DC school, please visit Krav Maga Federation DC. Peter Muldoon is a 4th Degree black belt and was Grand Master Rhon Mizrachi’s first black belt, receiving his 1st Dan in 1998. Peter has been a Krav Maga Instructor since July 1998 and is certified by Wingate Institute in Israel. Peter, originally from Ireland, has been involved with martial arts since 1978. This began with his training in boxing at an early age which led him to compete in many boxing tournaments. Although Peter participated in a variety of martial arts post boxing, his main interest transferred to Judo. 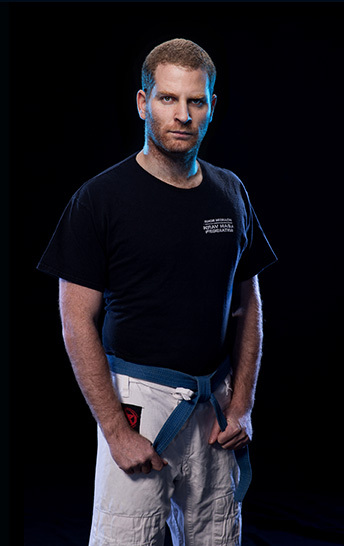 He trained in Judo over a period of ten years, competing extensively and winning amateur All-Ireland titles before transitioning to Krav Maga in 1994.
currently competes in regional shooting competitions and is a certified SO in IDPA (International Defensive Pistol Association), a discipline that emphasizes tactical/street scenarios. Peter continues his own Krav Maga training and teaches high ranking students at the NYC school, focusing on the most advanced Krav Maga material. Frank Colón, born in Washington, D.C., was raised in Puerto Rico, where he first began his martial arts education with training in boxing. Moving to the United States in 1970, he has been practicing Tai-Chi Chuan ever since, teaching this extensively in Rio de Janeiro, Brazil, between 1984-87, during which time he was featured for this in the “O Globo” newspaper. Through the years, he also has also acquired experience in Brazilian Jiu-Jitsu, Brazilian Capoeira and Philippine Kali-Escrima. Fluent in English, Spanish and Portuguese, Mr. Colón teaches classes for students of all levels and ages, specializing in middle-age and senior citizens, as well as privately. 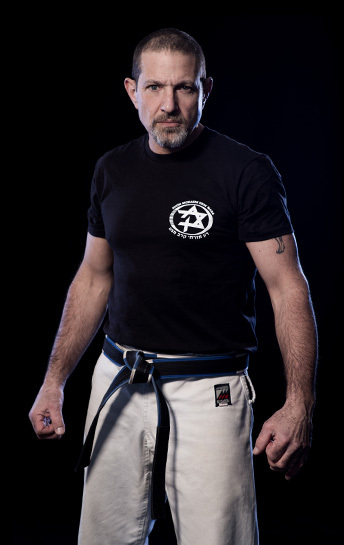 He has been a Krav Maga Certified Instructor since July 1998, certified by both the Wingate Institute in Israel and Krav Maga International and currently holds the rank of Black Belt Dan 2, received from Haim Zut, President of Krav Maga International in Israel and undisputed Dan 10 World Grandmaster. Mr. Colón teaches at the Faculdades Integradas de Jacarepaguá University in Rio, as well as privately, and currently holds certification in American Red Cross First Aid and Adult CPR. Mr. Colón is a founding member of The American Association of Krav Maga Instructors (AAKMI), Inc., a not-for-profit organization created to promote Krav Maga and to provide Self-Defense training for the general community. Originally from Pittsburgh, Pa. Graham began his training with Rhon’s Krav Maga Federation in May 2008. He first described it as “Kung Fu with hits like the NFL” and was immediately dedicated. After subsequent years of training under Rhon and teaching at KMF Brooklyn, the 14th st. Y, and the KMF home base on 25th street, Graham received his black belt in the summer of 2015. Martial arts affects you to the core. Once you gain a certain comfort and control within violent situations you find that many things that were once threatening will melt away. Scary movies become less scary, the works. It’s at this point that you can truly approach combat through a more explorative lens and flow with the cadence of a fight. It’s a great sensation and it’s something that I strive to grow and grow off of. but it’s different from the gym, it’s practical. Once you’re training you’ll soon learn that you’ll be working out in order to hone a specific strike, it’s a great motivator. When I train, I find focus in the details. Throughout my martial arts career I would become obsessed with a single move and pick it apart to find the best timing of the pivot, or when to perfectly engage your muscles for the most power. There’s a wealth of minutia that have such phenomenal impact on your technique. Many of these are passed from teacher to student, and many are discovered through practice. Perfecting these is what drives me; there’s always a way to hit somebody harder, which is ultimately the goal. Dror Bikel began training in Krav Maga in Israel in 1987. Upon his return to the US, he chose to continue his training with Grand Master Rhon Mizrachi in 1994. He obtained his Instructor certification from the Wingate Institute in 1998. 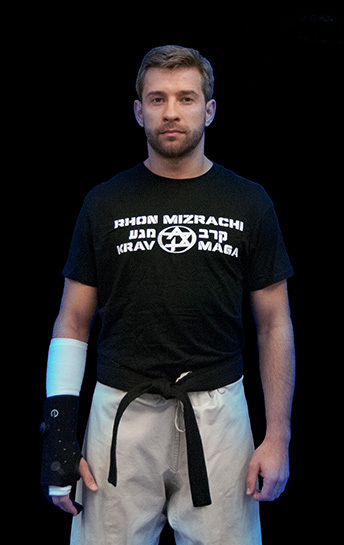 Dror obtained his black belt from Rhon in 2004, becoming a full instructor of the Krav Maga Federation. He tested for his 2nd Dan in the summer of 2008 while participating in the Federation’s trip Israel. 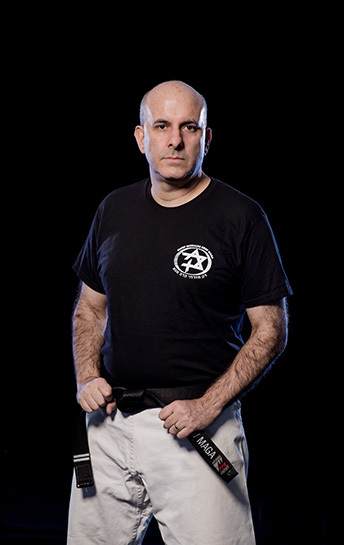 Dror is a founding member of the Krav Maga Federation, and presently teaches Krav Maga classes at the Conservative Synagogue Adath Israel of Riverdale. Dror’s relationship with Rhon has had a profound impact on his life. Rhon has been, through teaching and training, Dror’s primary connection to his Israeli heritage, and has helped him create his own unique American and Israeli identity consistent with his family roots. The power of Rhon’s teaching, mostly consisting of intense training and resulting in incredible learning, has greatly affected the way Dror conducts all aspects of his life. 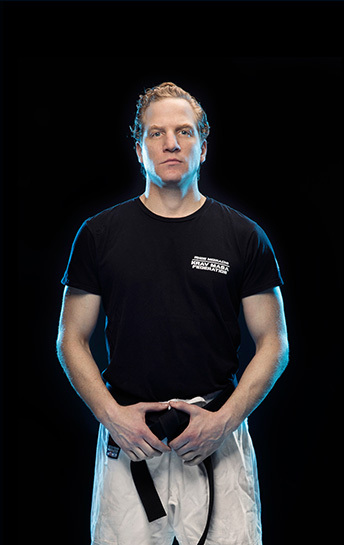 Matthew Dean Suroff began his martial arts training at a young age with Judo. He continued training in American Kempo and Western Boxing. Rhon Mizrachi in 2001, becoming a Full Instructor of Rhon Mizrachi Krav Maga Federation. He has taught students of all ages and levels, both in class format and privately. his Krav Maga practice with continued training in Judo, MMA and Muay Thai. He is one of the few students who would be fully supported by Rhon in opening a Krav Maga school outside of the New York area under the Federation which speaks to Rhon’s trust in Matthew’s ability as a practitioner, teacher and representative of the Federation. 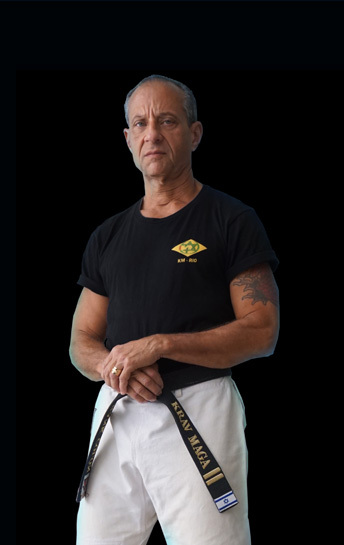 Pete Malino has practiced Martial Arts for 40 years; he is an accomplished and gifted martial artist. in Judo and Jiu Jitsu under Blu Ida in 2009). These belts attest to his superb talent and both physical and mental aptitude. He began to turn his attention to Krav Maga in 2000. Given his knowledge of martial arts, his choice of instructor was easy- he has trained with the best and continues to do so. Pete has been an Instructor of Krav Maga under Rhon since 2011. Pete is a Martial Artist in every way; the bond between Rhon and Pete is based not only on a student/teacher relationship but also on the mutual respect that true practitioners of martial arts have for each other.